Beautiful custom home by Cornerstone Home Builders! It has an open concept living area with light and bright finishes. White cabinets, gas range, granite counters and stainless steel appliances. This one has it all: 4 bedrooms (main level master suite has a large walk in closet with built ins, tile walk in shower, separate jetted tub), 3 bathrooms, 2 family rooms each with their own fireplace, main level laundry room, and extensive use of hardwood floors on main level. Basement has large guest bedroom with walk in closet, full bath, bar area and full sized fridge, a large media room and family room. There is a nice sized screened in porch with access from master and dining room. Also includes attic with garage access pull down stairs, dark basement media room and large office with windows. 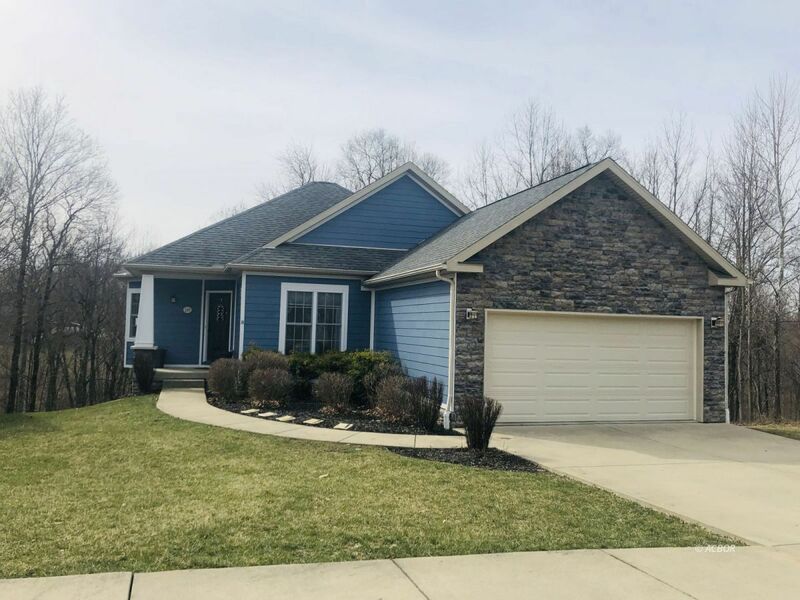 Located in Athens City School District (Morrison-Gordon Elementary) on a cul-de-sac in University Estates close to Ohio University, O'Bleness Hospital, uptown Athens and the bike path! .